St Monica Wins IFRAA Design Award! 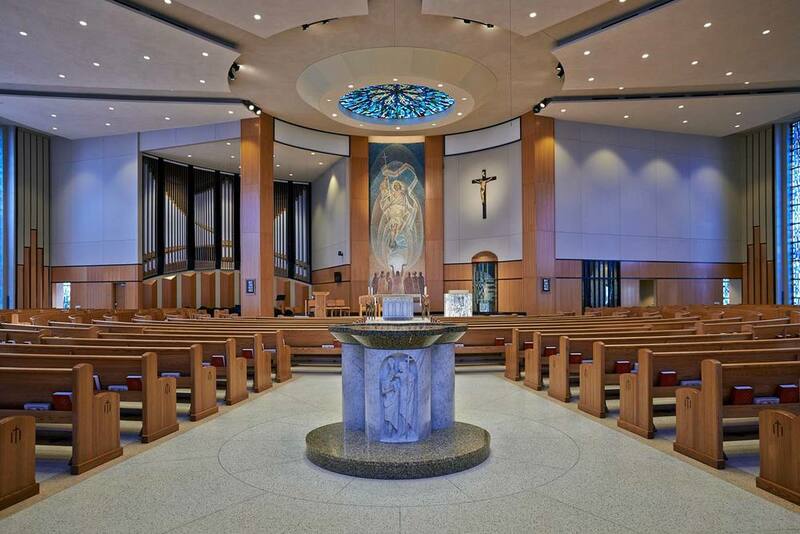 We are thrilled to announce that The Interfaith Forum on Religion, Art, and Architecture (IFRAA), has awarded our St Monica Catholic Church project with the 2015 Liturgical/Interior Design Award! All winning entries will be published in the Winter 2015 Awards Issue of Faith & Form Magazine. In addition, all winning entries will be displayed and presented at an exhibition in the 2016 National Convention of the American Institute of Architects, hosted next year in Philadelphia, May 19-21st. This extensive interior renovation was all about bringing in more light into the worship space while providing a warm, contemporary material pallet for visitors. There was not a surface or building system that was not touched and improved upon during this project and the results are incredible! The space also received a custom made Nichols & Simpson Organ, which rightfully so, has it's own Facebook page, where the entire construction and installation of the organ is documented! Congrats to Jim and Glenn and the entire team on this prestigious award!